100W SMY Touch Box​ features touch screen temperature control, 2600mAh built-in Li battery and MAX 100W Wattage output.​ Multiple working modes for different vapers. 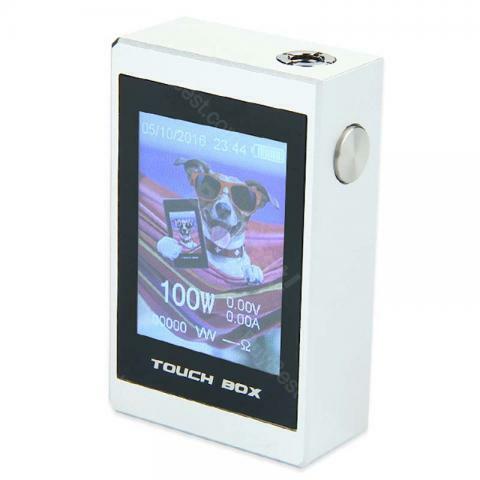 100W SMY Touch Box - 2600mAh is a new generation product, touch screen temperature control box Mod. It comes with 2600mAh built-in Li battery and with 100W Wattage output. Multiple working modes for different vapers. Love the big touchscreen and built-in battery. WOW! Big touchscreen, easy operation on both wattage mode and temp control. Battery life is good too. Recommended. SMY touchscreen, my first 100W mod. Performs like a charm.